One of the most anticipated Linux distribution for a long time now is Ubuntu 12.04 LTS. There has been so much speculation and gossip about it. Canonical finally lifts the curtain on that 12.04 LTS version, and let me already say it out loud ... it's a gem ! In this article we will show you how to download and install Ubuntu 12.04 as an alternative operating system for those who currently use only Windows 7 or 8. This tutorial, takes you by the hand and guides you step-by-step into easily tasks. Furthermore, there are screenshots and videos included to visualise the process. Before we startup the how-to let me blast a quick pros'n'cons out of the Ubuntu's commercial hype and emphasise some remarkable spots about Ubuntu and why should we care about. The hottest linux distro of the year probably is going to be the Ubuntu 12.04, and right after linux Steam release, it is going to dominate the distrowatch top alright. To obtain a copy of Ubuntu, please launch your favorite browser (Firefox, Chrome, Opera, IE) and go to official Ubuntu website. Once you get there, you'll find many resources about Ubuntu. You read that right, but just stay focused here. So move one and click "Get Ubuntu now" in order to proceed. Alright, here we have the 32-bit version as recommended by Canonical. Despite what's it says, please select 64bit and click Start Download. The disk image of 64bit is called amd64 -- which is just bad name scheme in every aspect -- meaning that it supports both AMD and Intel 64bit processors. If you want to boot from a CD-ROM then go to the next page 3, otherwise skip page 3 and go directly to page 4. Once you have downloaded Ubuntu ISO image disc, the next step is to burn it into a CD media. To accomplish this task, we are going to use ImgBurn. Launch ImgBurn utility and click "Write Image file to disc" button. 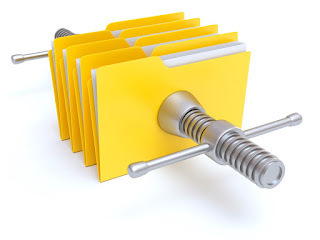 Browse into your computer's hard drive directory, probably at your "Downloads" folder, locate ubuntu-12.04-desktop-amd64.iso and click "Open". Afterwards, please insert an empty (blank) CD-Rom into your DVD-Writer device and get ready to obtain a copy of Ubuntu. Burn the Ubuntu ISO disk image into an actual CD-ROM disc. Just in case, mark the CD-Rom's surface using an appropriate marker-pen that dries instantly. Proceed to Page 5 (skipping page 4 - using USB as bootable media). First off, we need a USB Drive Disc. Do you have one ? Plug it in your PC and backup its contents, because they will be deleted/replaced by Ubuntu disc image. Again: backup your flash disk's data. Just don't say you weren't warned. Go to Unetbootin's webpage and download the Windows version. Afterwards, browse into your hard disk and locate the unebootin executable. Double click to launch the application. Select Disc Image, ISO and click the dots "..." button in order to locate the Ubuntu's ISO image file. Select USB Drive and the locate the approriate letter that matches in your flash drive. Eventually, hit "OK" button to start the conversion of your flash drive into a fully operational and bootable media including Ubuntu 12.04 64bit. Please wait a couple of minutes while the USB flash disk is getting ready. Congrats! Operation successfully completed! Now you have Ubuntu 12.04 inside your flash disk. Reboot your computer and boot from USB. First off, remove all unnecessary USB items to ease the process. Insert the bootable USB flash/CD-Rom drive that you just created in your target computer and restart you PC. Most newer computers can boot from a USB flash/CD-Rom drive. If your computer does not automatically do so, you might need to edit the BIOS settings. Restart your computer, and watch for a message telling you which key to press to enter the BIOS setup. It will usually be one of F1, F2, DEL, ESC or F10. Press this key while your computer is booting to edit your BIOS settings. Instead of editing BIOS settings, you can chose a boot device from the boot menu. Press the function key to enter the boot menu when your computer is booting. Typically, the boot screen displays which key you need to press. It maybe one of F12, F10. Note: with some motherboards you have to select 'hard disk/USB-HDD0' to choose the USB flash disk. You need to edit the Boot Order. Depending on your computer, and how your USB key was formatted, you should see an entry for "removable drive" or "USB media" or "CD-Rom". Move this to the top of the list to make the computer attempt to boot from the USB/CD-Rom device before booting from the hard disk. Ok now, hit F10 keystroke (Save and Exit) and restart your PC in order to boot from CD-ROM or USB drive as to install Ubuntu. The installation of the Ubuntu 12.04 distribution is a child’s play in the hands of advanced users who already have the experience of re-installing operating systems. If you are newbie, please do not be afraid of installation. Using the manual and our helpful instructions, there is no doubt that you will accomplish this task quite easily. As we stated before, the installation procedure is quite an easy job, but is also a bit time consuming though (about 25 minutes). Pay attention to the instructions and be gentle with your computer. Please be aware of the fact that if you already use Windows 7 or 8, Ubuntu can be installed alongside or completely remove Windows. That's my old monitor, installing Ubuntu 12.04. As you can see I've already managed to boot from CD-Rom and Ubuntu distribution auto loads first, replacing your hard drive and MBR. Have a peak and let's do it together step-by-step. Select your language from the left menu and click "Install Ubuntu" to proceed with the Installation. Make sure that your have a wired internet connection via Ethernet, in case of inability to find wifi networks. Select the first option in order to dual boot with Windows 7/8 and Ubuntu, otherwise select the second option and delete Windows partition at all using only Ubuntu. Third option is not recommended for beginners. Dual boot means multi-booting, likewise the act of installing multiple operating systems on a computer, and being able to choose which one to boot when starting the computer. The term dual-booting refers to the common configuration of specifically two operating systems. Multi-booting may require a custom boot loader that Ubuntu installation provives and configures it automatically based upon your system's needs. Now hit "Install Now" and wait a couple of moments until the installation is complete. Please notice that Ubuntu needs about 4.5 GB to install, so add a few extra GB to allow for your files. Check if your location is correct and click 'Continue' to proceed. If you're unsure of your time zone, type the name of the town you're in or click on the map and we'll help you find it. Select your prefered keyboard layout. Click on the language option you need. If you’re not sure, click the ‘Detect Keyboard Layout’ button for help. Afterward click "Continue" to proceed. Enter your login and password details. If you like check "Log in automatically" and press "Continue" to proceed. And yeah, that's the final message saying that installation is complete. Please remove the CD-Rom or USB from your PC and hit "Enter" to reboot. Once you boot into Ubuntu 12.04 you will see the Desktop; this is Unity. Before you play around with your new toys, we recommended update your pre-installed applications to the latest version. Also, bug fixes and security updates will automatically installed. Follow the instruction below and take a look to the video. Now reboot your PC and you're ready to boot in back to the all brand new Ubuntu 12.04.